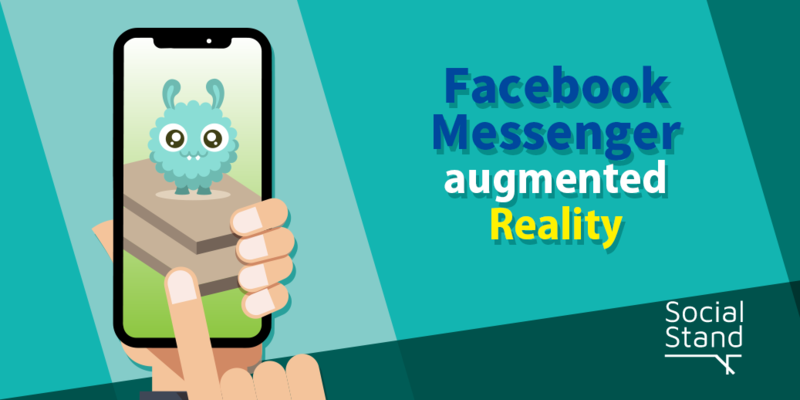 In its annual F8 Developer Conference in San Jose, California, Facebook announced that the Augmented Reality feature has been incorporated in the Facebook Messenger platform. According to Facebook’s Vice President of Marketing Products, David Marcus, there are more than 300,000 active messenger bots on Facebook, with over 200,000 developers on Messenger Platform. Each month, more than 8 billion messages are sent between people and businesses on Facebook Messenger. Facebook announced in the conference that the first brands to introduce AR effects would include Asus, Nike, Kia, and Sephora. 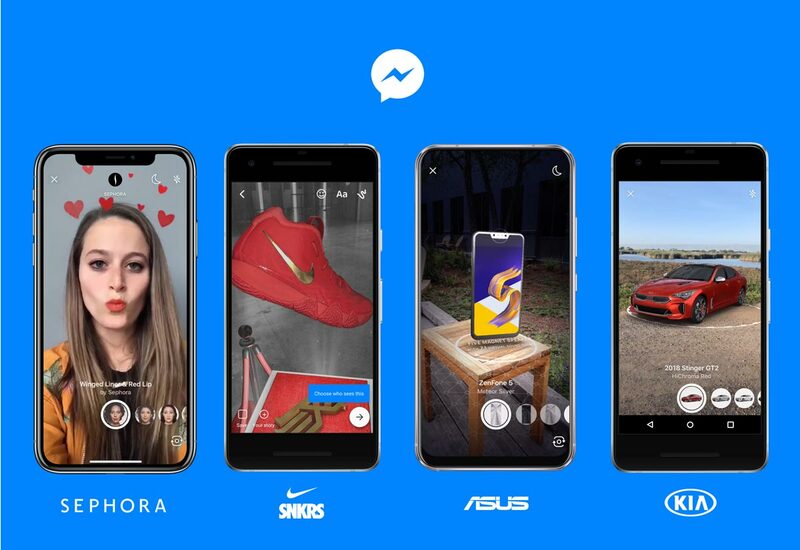 Other brands can join the waiting list to integrate AR into their messenger app through the Facebook Camera Effects. Asus will use the AR feature to bring the experience of unboxing a product to virtual life. Kia will use Augmented Reality to allow users to customize and personalize the Kia Stinger through the messenger. Nike offers a sneak peek into the new pair of sneakers that it is launching through messenger app in a very red-carpet fashion. Sephora is using AR to give people the ability to try on virtual makeup through the messenger app. Further, when people interact with brands on messenger, the brands can ask the users to open the messenger’s camera and make use of AR filters specific to the brands. The images and videos that contain the filter effects can be saved in user’s camera rolls, or shared to stories, groups, or in conversations. This feature is a big news for brands as this will greatly boost their instructiveness on the platform. This is going to draw the attention of more and more users to try out the brand’s products. Further, in another new feature update, the suggestions from M will provide translation suggestions as well. 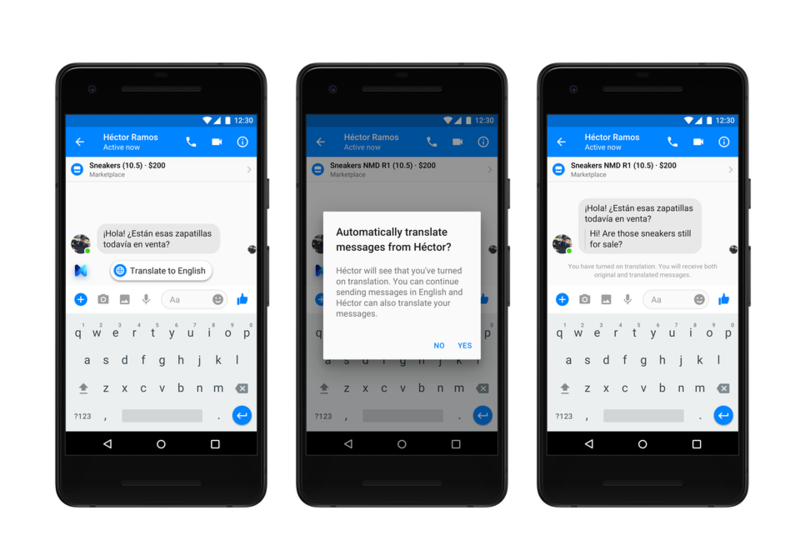 When messenger users receive messages on the platform that are not in their native language, the messenger will ask the user if they wish for those messages to be translated. These new features are expected to bring the users and brands closer than ever before.